Ideal for maneuvering in tight spaces, they’re excellent for indoor and outdoor construction. 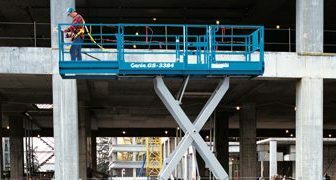 Characterized by low noise levels, working height from 6 m to 18 m.
Ideal for outdoor construction and industrial applications at 11 m to 43 m working height. 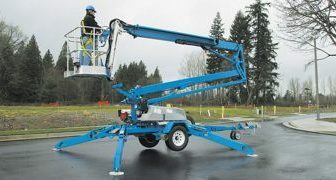 Self-leveling platform and tight turning radius for maneuvering in confined areas. Vertical mast lifts are compact, low-weight machines well fit in most passenger elevators. 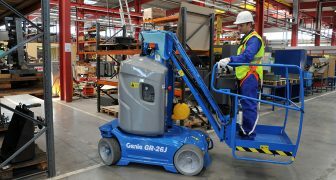 Efficient operation and convenient setup make them ideal for warehousing and general maintenance. 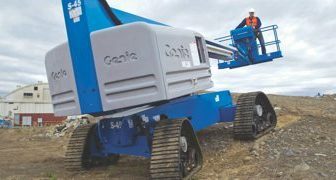 Mobile electric lifts (Aerial work platforms) are an industry favourite due to their ease of use, convenience and flexibility. 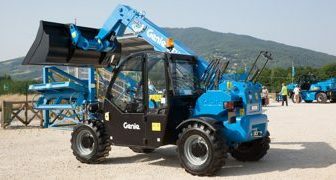 Genie compact telehandlers are easy to maneuver and convenient to service, with a variety of rugged attachments. 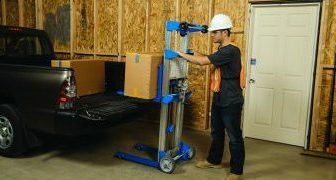 With the material lift, one person can easily lift, move and position heavy loads - helping to increase productivity. 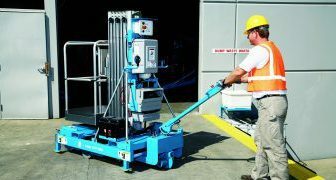 Material lift is capable to lift loads up to 450kg. Completely portable; easy to store and transport. Telescopic booms available for 14 m to 57 m working height offer greater horizontal outreach - perfect for areas with limited access.